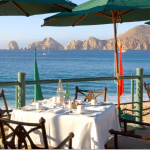 How was Villa del Palmar Cabo Affected by Hurricane Odile? As travel and leisure expert, I have received various questions about the state of the hotels and resorts in Cabo San Lucas after the devastating passing of Hurricane Odile just as Mexico prepared to celebrate its Independence Day on September 15, 2014. Rather than fireworks, the popular beach destination received a thrashing from category 3 hurricane Odile. So, how did the resorts fare. 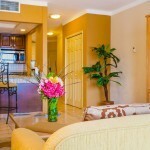 This post will focus on Villa del Palmar Cabo; for other resorts see archived articles. 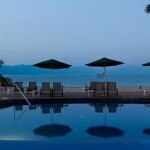 Villa del Palmar Cabo and its sister resorts, Villa del Arco and Villa la Estancia survived Hurricane Odile, bruised but fully intact. Reports from the resorts suggest that limited damage occurred as a result of Hurricane Odile and that, besides some broken glass and damaged details, Villa del Palmar Cabo was fully operational within hours of Hurricane Odile passing. Villa del Palmar Cabo is fortunate to have a generator, which ensured that electricity was restored as soon as it was safe to do so. The first communication from the hotel before Cabo San Lucas in general lost its phone lines was that there was water and one of the restaurants was already fully operational. The robust nature of Villa del Palmar Cabo’s architectural design does not come at a cost to aesthetics, boasting elegant decor and freeform swimming pools, but in the event of a hurricane, the foresight of Villa del Palmar’s architects and construction team to build a hurricane friendly resort is an added lifesaving bonus. Nevertheless, guest reviews show that Villa del Palmar Cabo does not take hurricanes lightly and despite confidence in the installations’ ability to stand up to Hurricane Odile, evacuation procedures were carried out in a bid to get as many people home before the hurricane made landfall. Those guests who remained during Hurricane Odile’s trajectory were kept as comfortable as possible under the extraordinary conditions. Share your Hurricane Odile stories below and leave a comment.